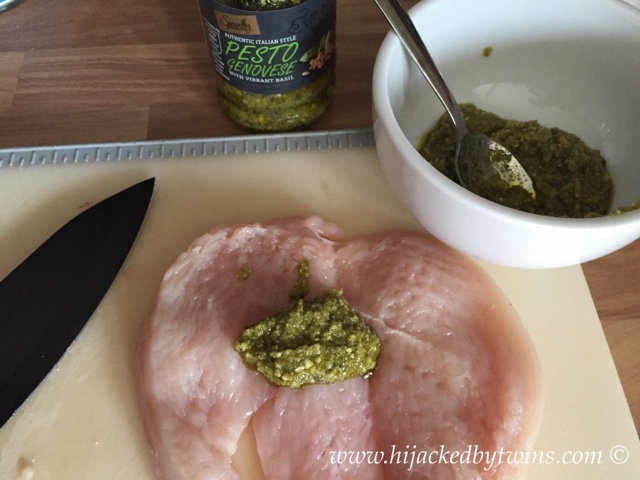 The pesto adds so much flavour to the chicken and leaves the meat lovely and moist. 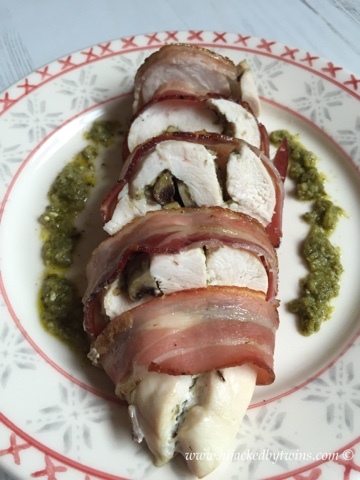 The smoked pancetta goes perfectly with the chicken and basil pesto. 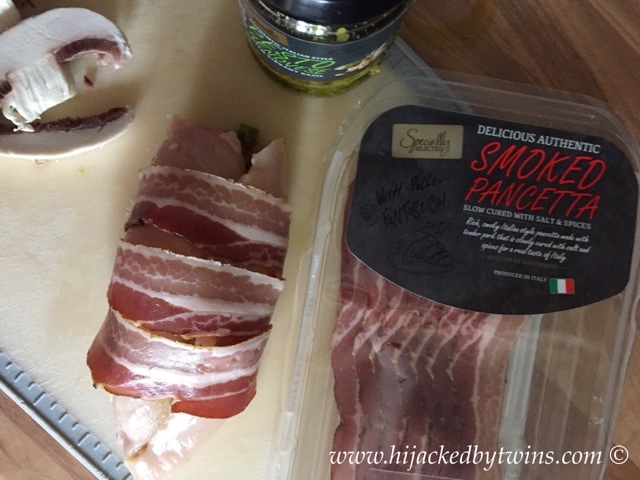 This is such a flavoursome meal that is always a winner in our house. 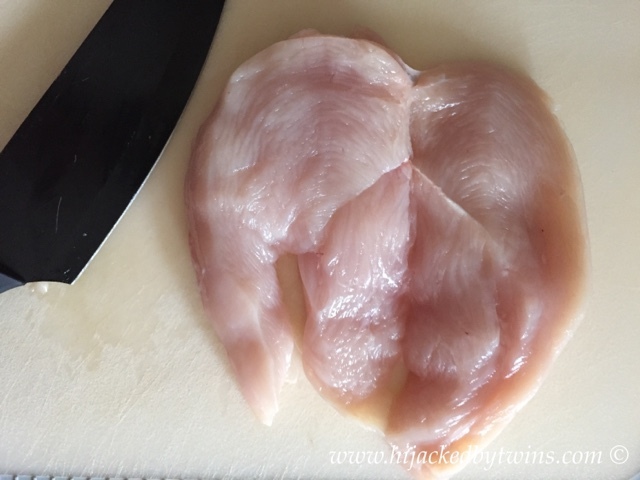 I served the chicken with some steamed new potatoes and vegetables. 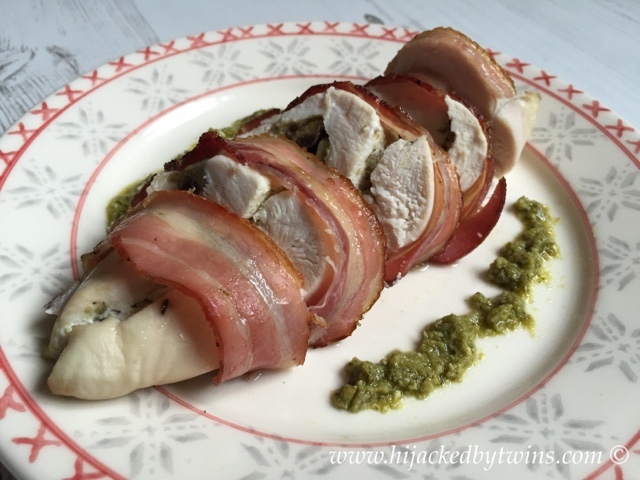 I found that 3 chicken breasts were enough to feed two adults and three children. 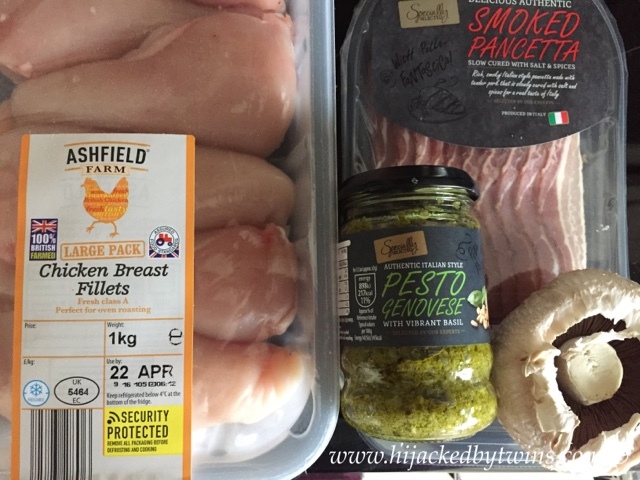 The chicken breasts from Aldi were all a good size and did not shrink at all during cooking. 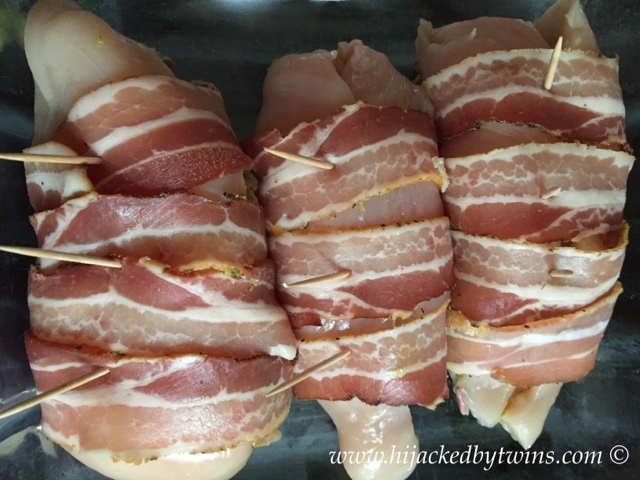 I bought a large pack of chicken breasts which contained 6 large pieces of chicken breast. 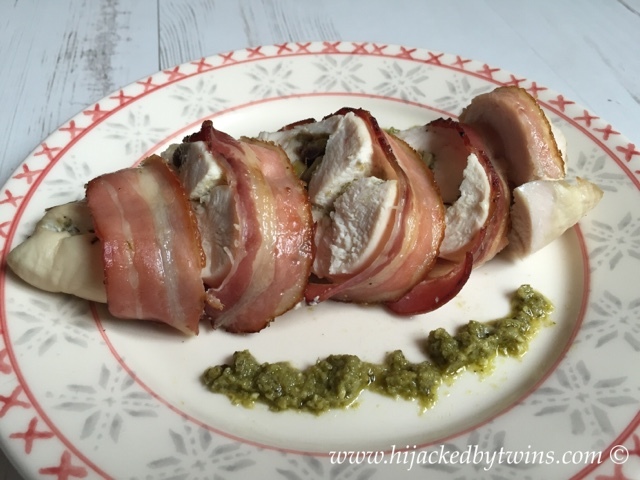 I used 3 for this meal and was able to place the remaining chicken breasts in the freezer for another meal. 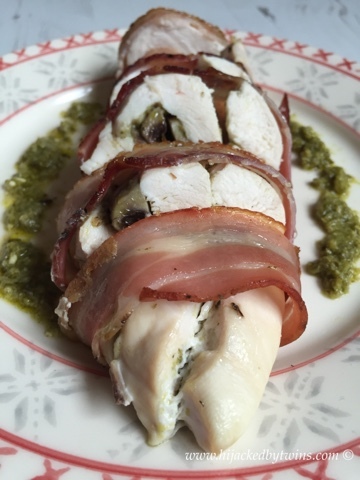 I love chicken with pesto and pancetta. 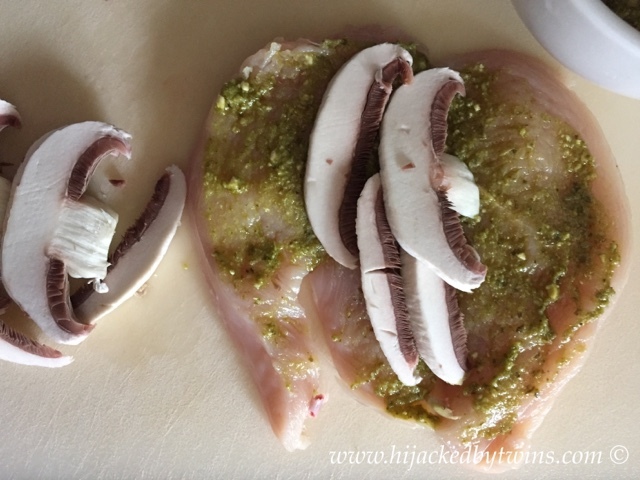 I've not tried adding in mushrooms before so I'll have to give that a go next time I cook it.